Months before the declaration of war, the British were already experimenting with their first radar prototype in Malta; although at the time it was known as RDF (Radio Directing Finding) and not yet as RADAR. 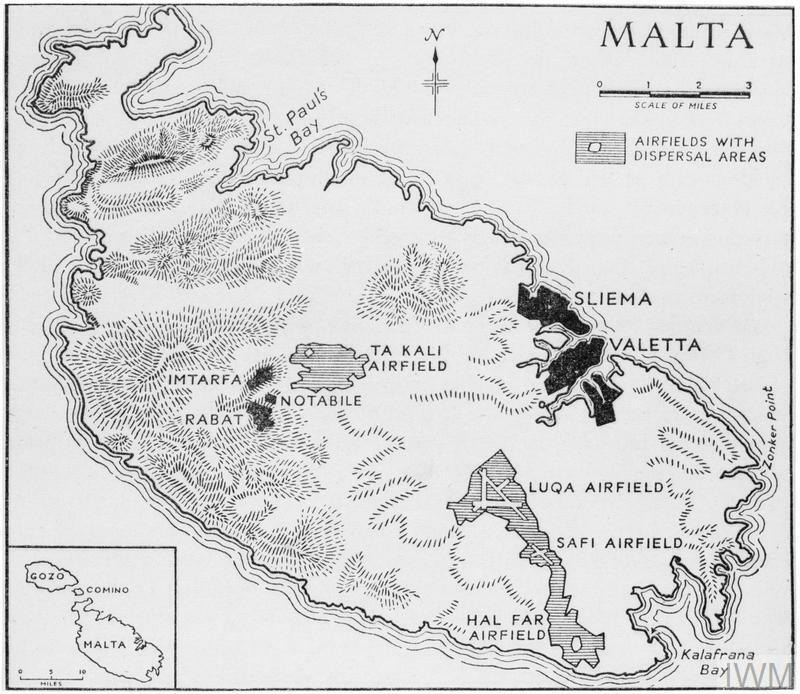 The Malta system was the first and only one tested outside the UK, and as soon as the war broke, the British brought over four more radars to cover high and low level flying aircraft, as well as sea movements. It was a clear blue sky over the Mediterranean with only a few small puffs of cloud. 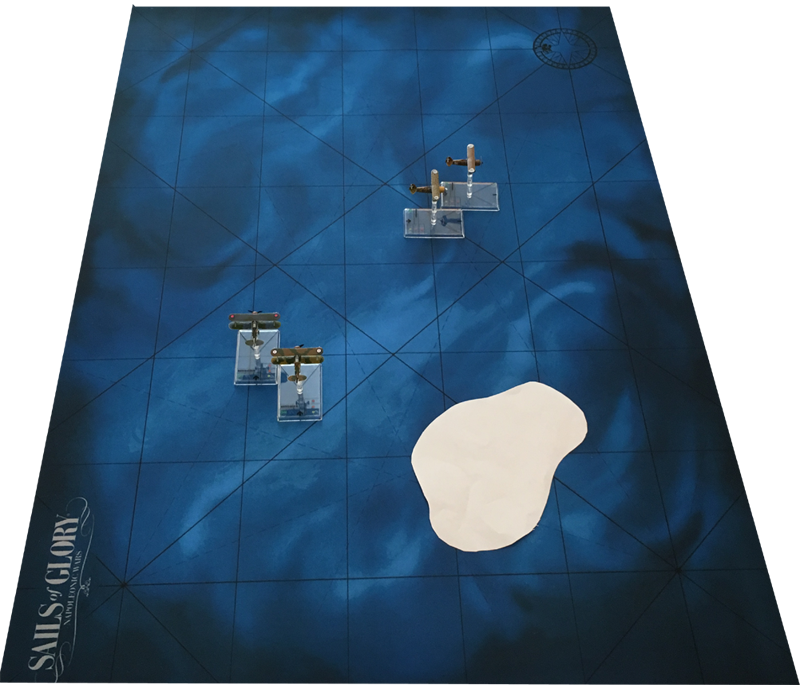 British radar spotted a raid flying towards Malta and sent up fighters to intercept over the sea before they reached the island. The raid however contained no bombers, it was only a fighter sweep. 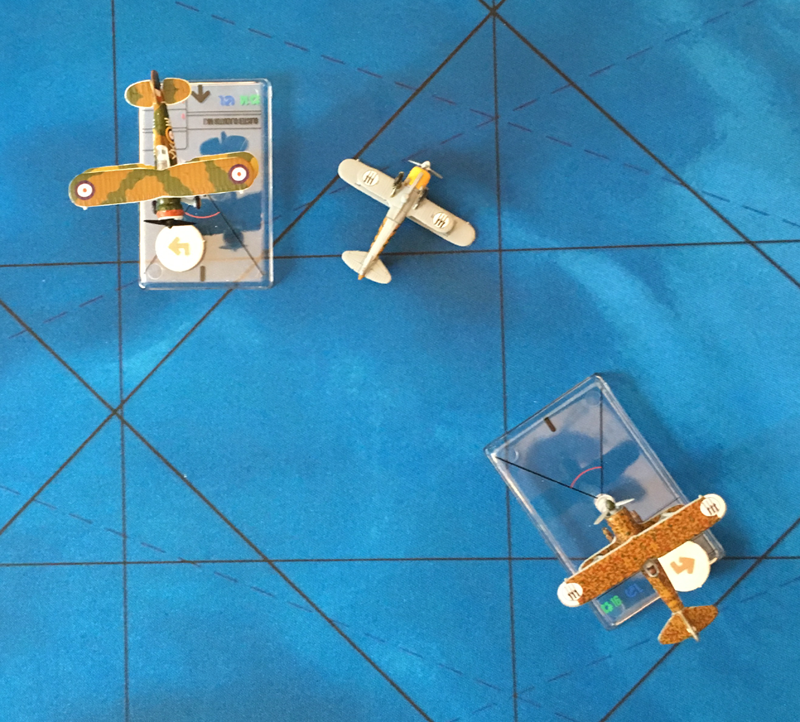 Number 369 Squadron AAF had been heroically defending the shores of Southern Britain. As the summer came to an end, Pilot Officer Cholmondeley Featherstonehaugh was the best scoring ace in the squadron. His uncle at the Air Ministry visited the squadron, with a bar for Featherstonehaugh's DFC and a promotion to Flying Officer. Featherstonehaugh had been pestering his uncle for a transfer to warmer climes where the water wasn't as cold as in The Channel, preferable an island in the Caribbean. "Good news! 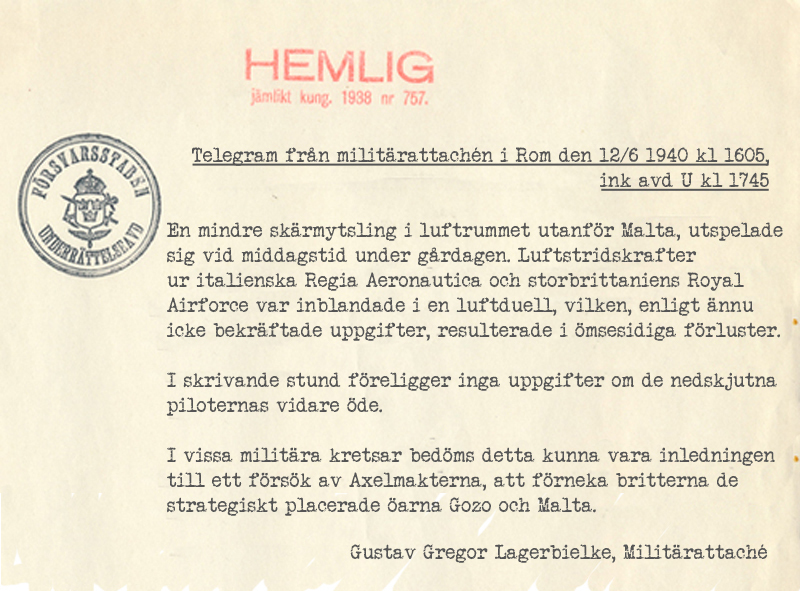 ", said his uncle, "I have found you and the whole squadron a posting to a warm and friendly island - Malta!". His uncle then explained "You'll be loosing your CO of course, we need him here in England, but we'll be promoting your Intelligence Officer, Foxy Moron to CO. After all he's got experience in biplanes, all those hours in Camels you know." 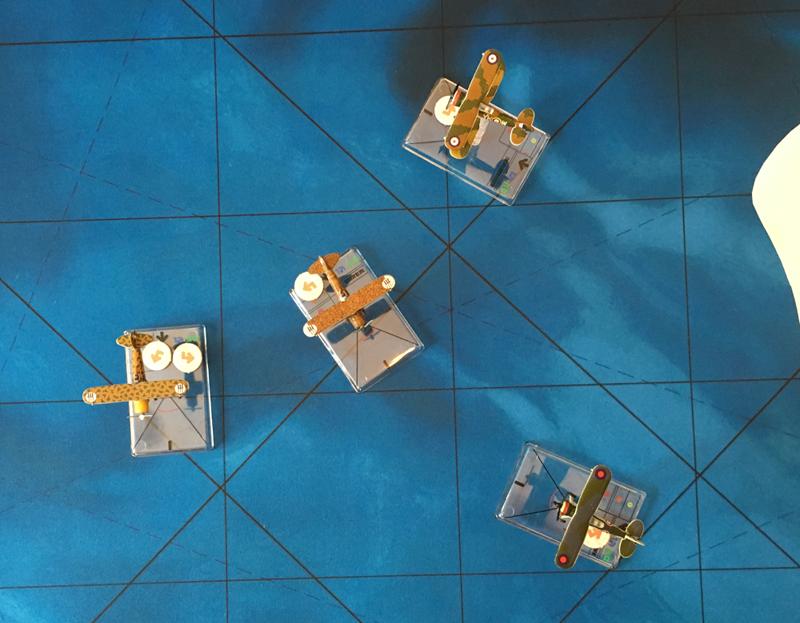 "Biplanes! ", exclaimed Featherstonehaugh, "You can not be serious!". 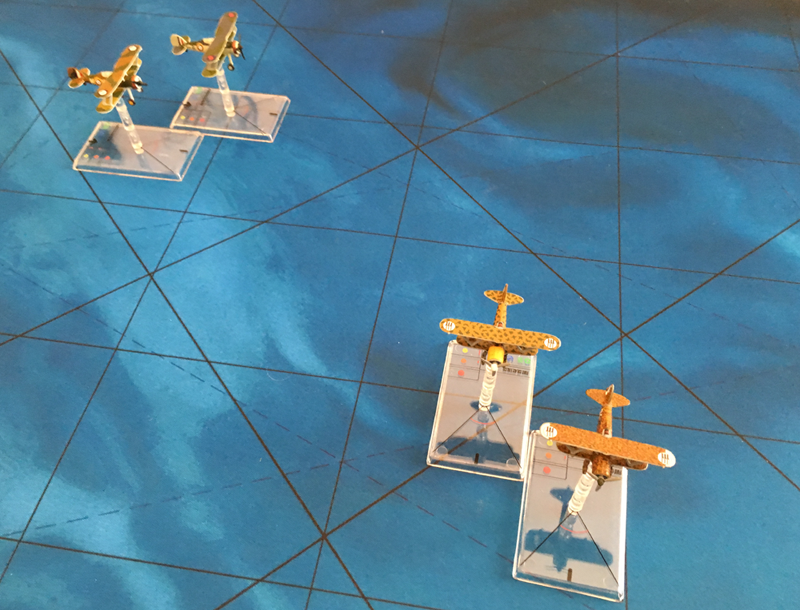 After that, it all went rather quickly, the remaining pilots and a few of the ground crew were shipped off to Malta, but without any aircraft which were still needed for home defense. The Italian High Command wanted information about the status of the air defense of Malta. The Regia Aeronautica sent the squadriglia d'aquila under the command of Capitano Vitello Tonnato to Sicily with orders to investigate. 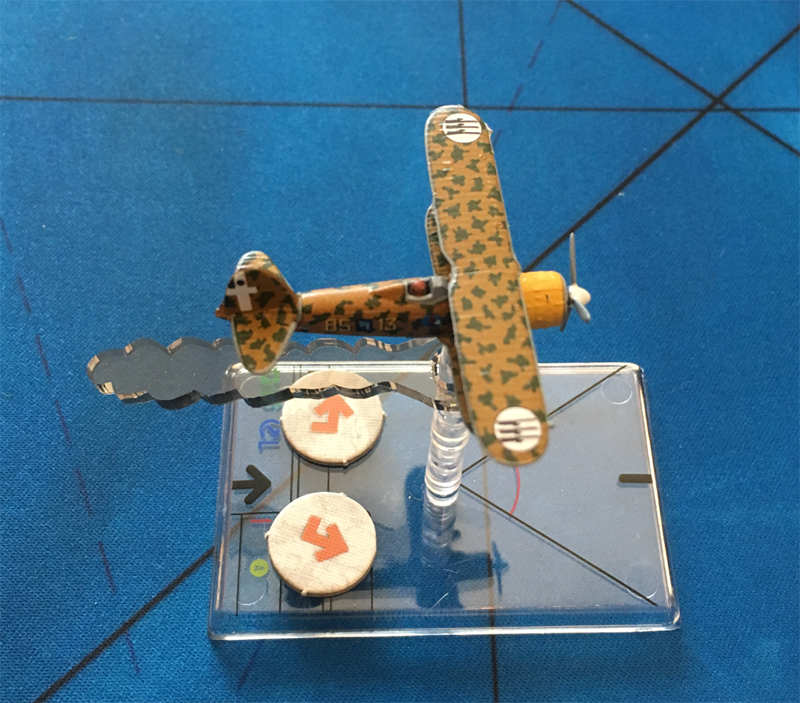 Capitano Tonnato was an Ace from the Second Italo-Abyssinian War where he flew Fiat CR.20 biplanes and was known for shooting Ethiopian camels. 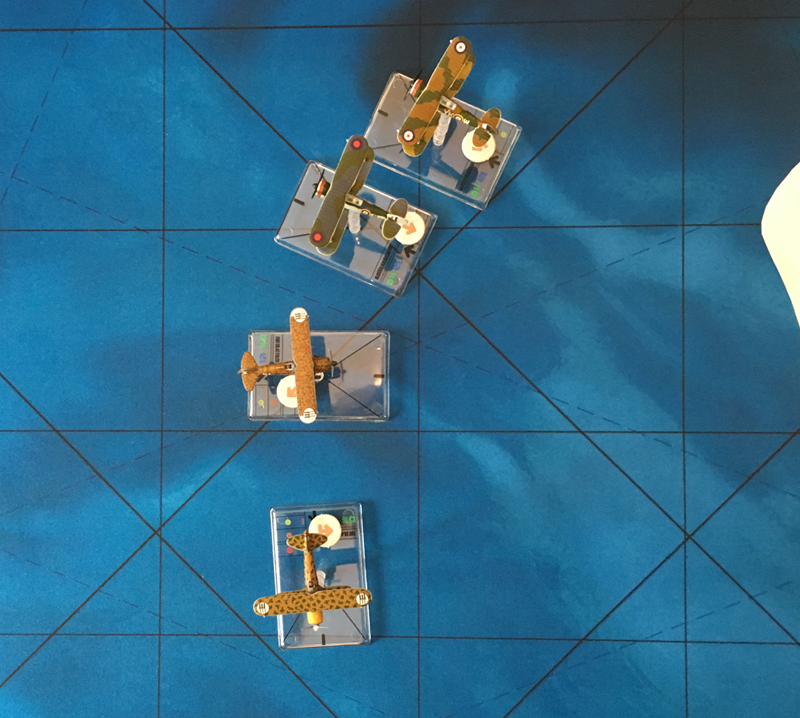 He decided that, together with Tenente Luigi Macaroni, he would fly a sweep over the island in their Fiat CR.42 fighters, to see what the defenders could send up. The RAF controller called Luqa airfield after incoming planes had been spotted on the radar. Only two pilots had recovered enough after their seasickness to be able to fly. Pilot Officers Sir Price and Emmett Hollingberry jumped into their Gloster Gladiators and climbed towards the incoming planes. 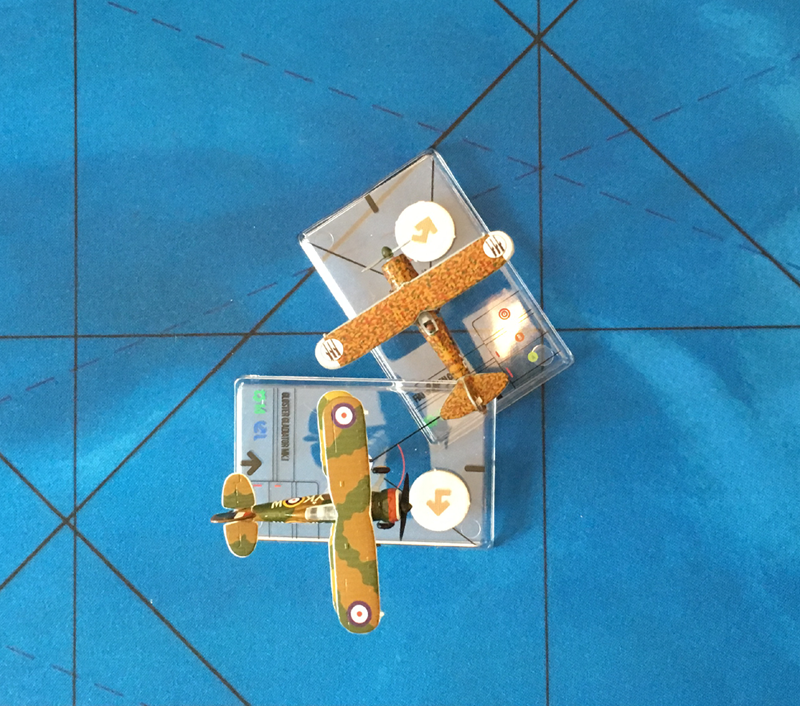 The ground controller had done a good job; Sir Price and Hollingberry were vectored so as to contact the raid from behind. 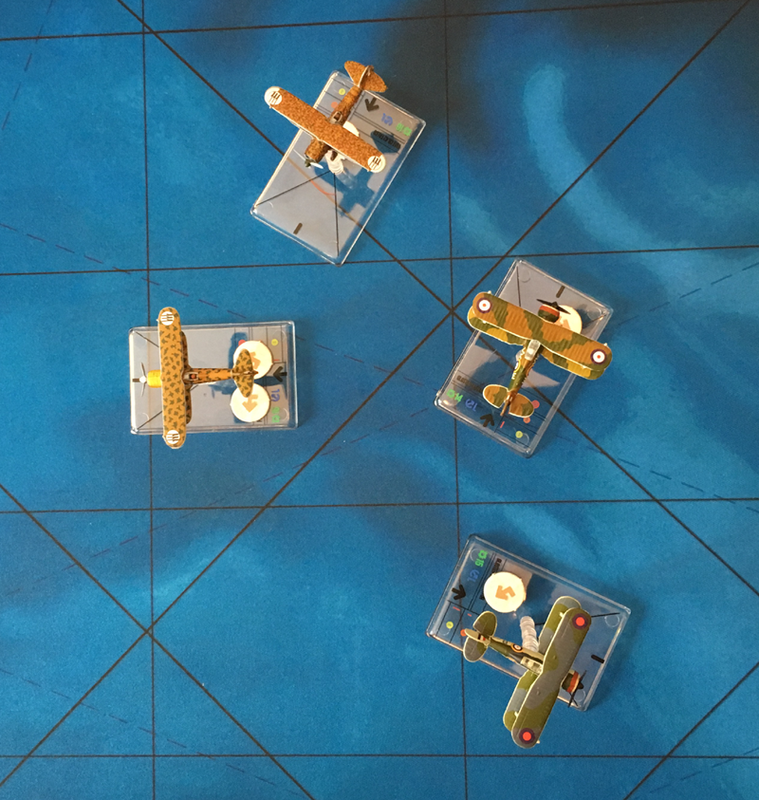 Both sides having spotted each other, the Gladiators turned in to tail the enemy while the CR.42's carried straight on. 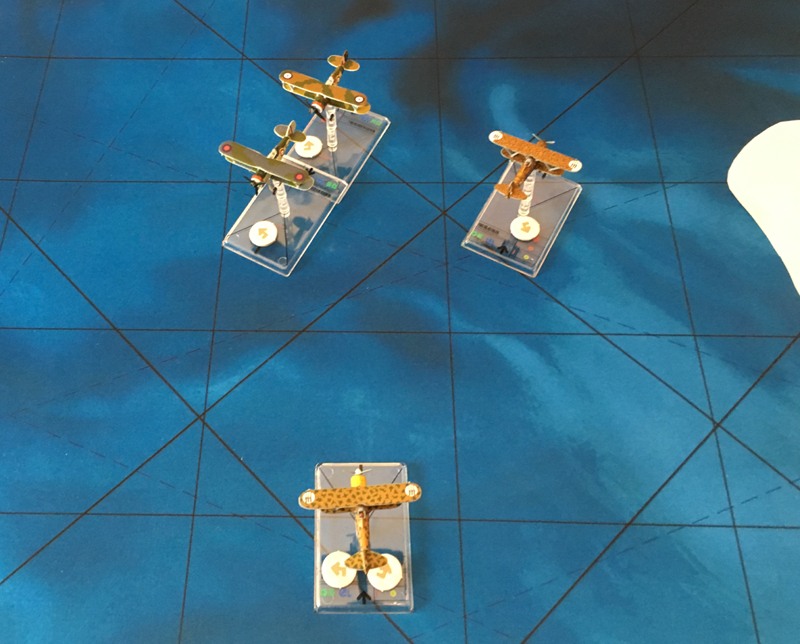 The CR.42's performed an Immelmann turn as the Gladiators gained height. The planes passed close by each other with both sides taking snap shots. Capitano Tonnato turned to try and get onto the tail of the Gladiators but these turned tightly too. Luigi Macaroni carried straight on, preparing to Immelman yet again. Capitano Tonnato could turn no faster than the Gladiators, so he couldn't get on their tail. Luigi Macaroni's Immelman brought him face to face with the Gladiators and fire was exchanged. A .303 calibre machine gun bullet hit something important in Luigi Macaroni's radial engine and smoke started to pour out. 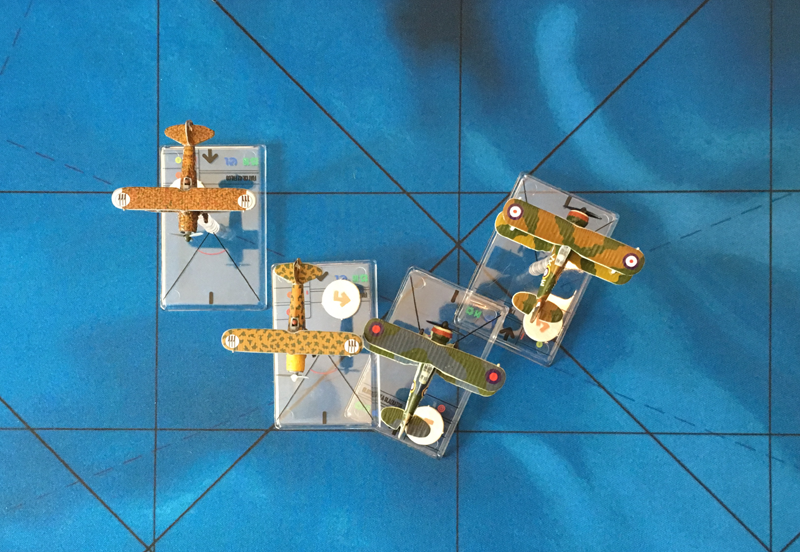 Sir Price and Hollingberry headed straight for the smoking CR.42 with which they exchanged quick bursts as it passed just inches above their heads. Capitano Tonnato had still not learnt that he could turn no faster than the Gladiators. Hollingberry and Capitano Tonnato continued to turn tightly. Sir Price went straight ahead preparing to Immelmann. 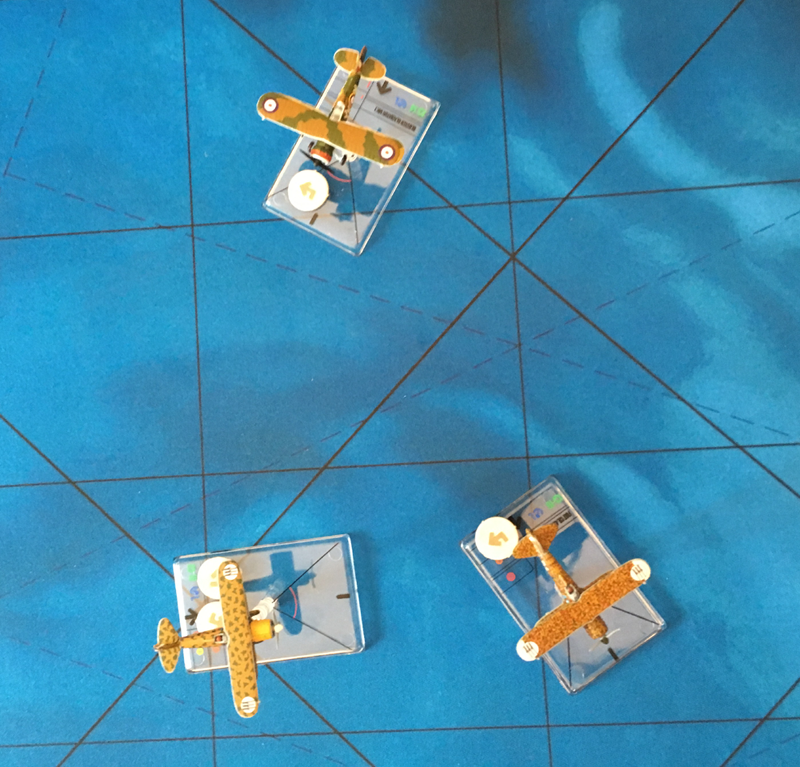 Capitano Tonnato and Pilot Officer Sir Price went head to head and opened fire, each with their four machine guns. 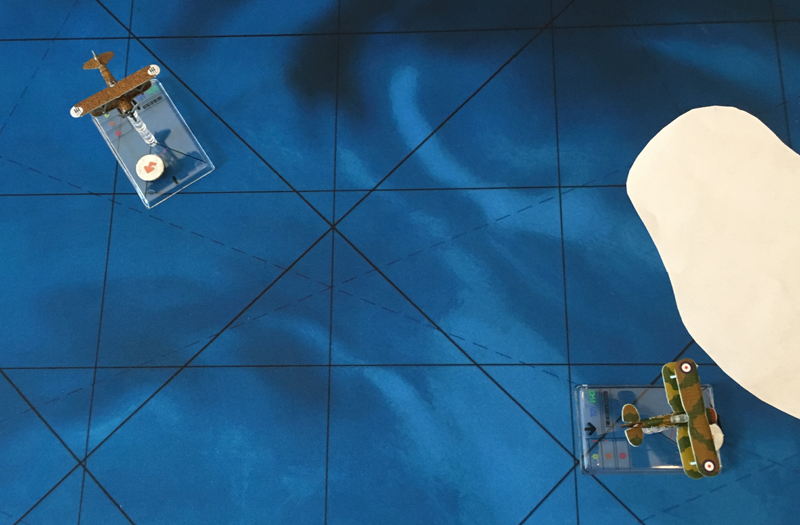 Capitano Tonnato was the luckier shot and Sir Price's Gladiator went down. Luigi Macaroni, his engine no longer smoking, made the mistake of chasing the crashing Sir Price instead of concentrating on the still flying Hollingberry. Seeing the danger posed by Hollingberry, Luigi Macaroni turned in head to head and exchanged shots as they passed. 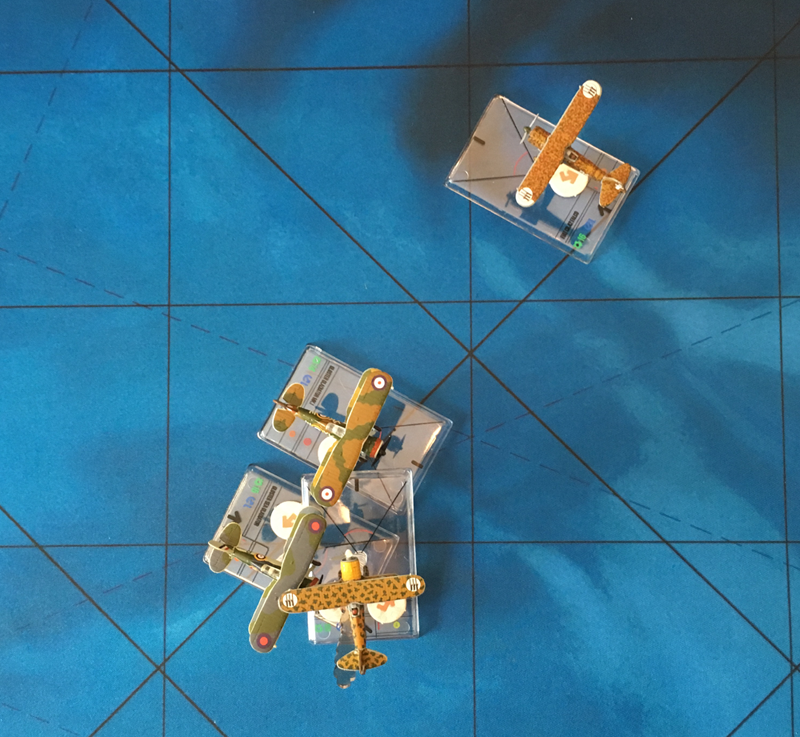 Tonnato performed an Immelmann turn and headed back into the fight. 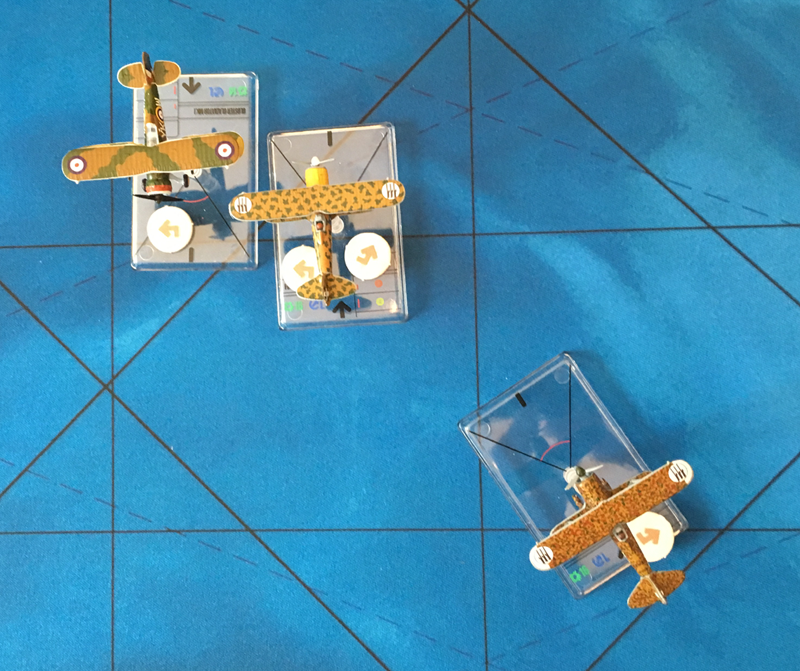 Hollingberry was the better shot and Luigi Macaroni's CR.42 was done for. Hollingberry and Tonnato passed very close, almost colliding; both got off quick shots. Tonnato added many new holes to Hollingberry's Gladiator. 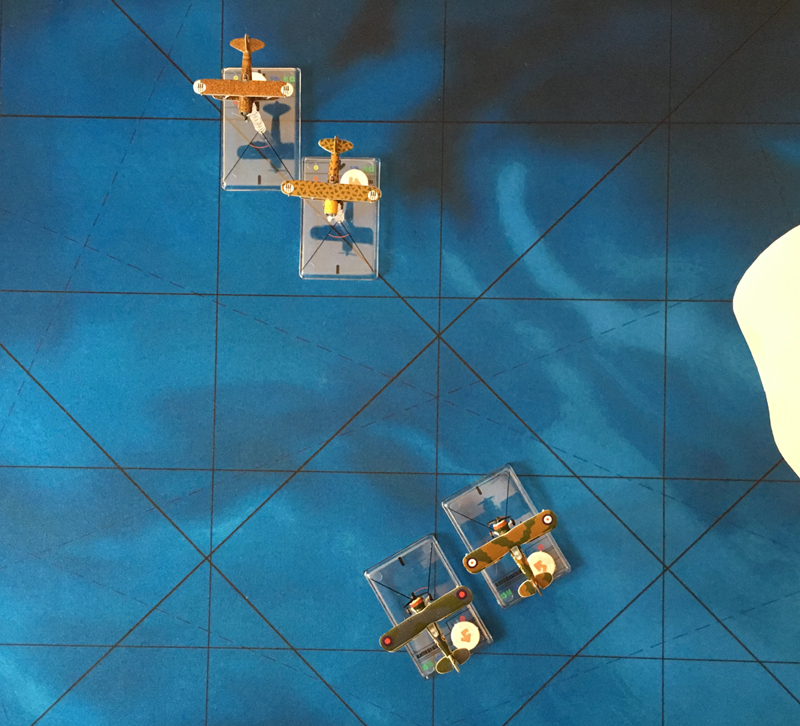 Pilot Officer Emmett Hollingberry, his Gloster Gladiator full of 12.7 mm holes, turned for home as fast as he could go leaving Capitano Tonnato of the Regia Aeronautica in control of the skies. 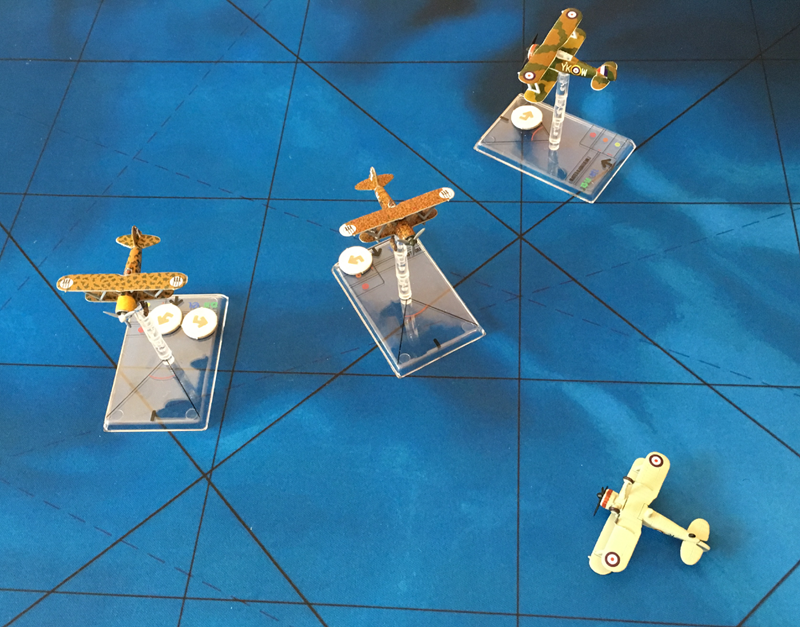 Pilot Officer Sir Price tried to nurse his fatally wounded Gloster Gladiator back to Malta, but the distance was too far. He ditched in the sea half way between Malta and Sicily. A pair of Italian MAS boats saw him ditch and rushed to the scene, pulling Sir Price out of the sea. They transported their prisoner back to Reggio Calabria where he was put on a train under heavy guard heading north. 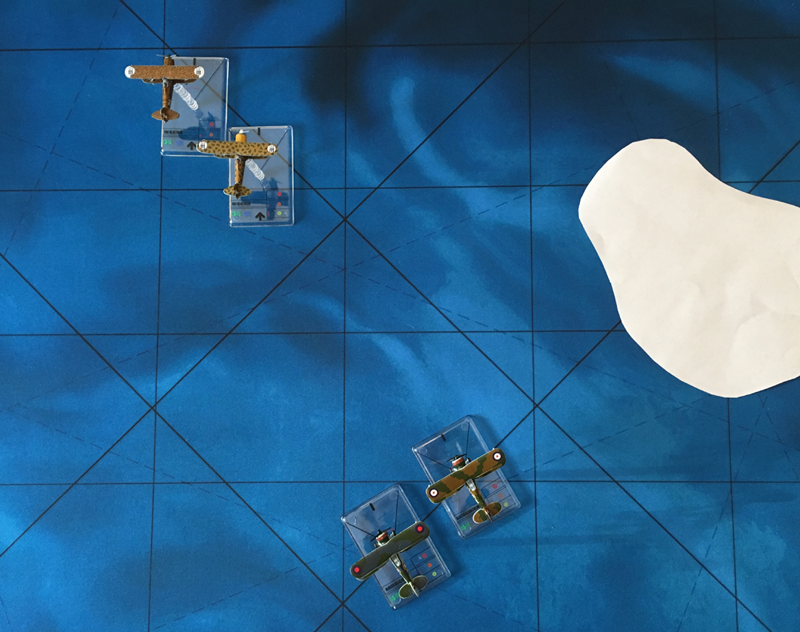 Tenente Luigi Macaroni saw another pair of MAS boats and crashed his CR.42 as near as he could to them. He was picked up and returned to his airfield on Sicily, but the had been wounded in the fight and injured in the crash; it will be a while before he has recovered enough to fly again.